Hearth: A Global Conversation on Community, Identity, and Place is a multidisciplinary and multicultural anthology, edited by Annick Smith and Susan O’Connor, exploring the physical and spiritual manifestations of home in the era of the Anthropocene. 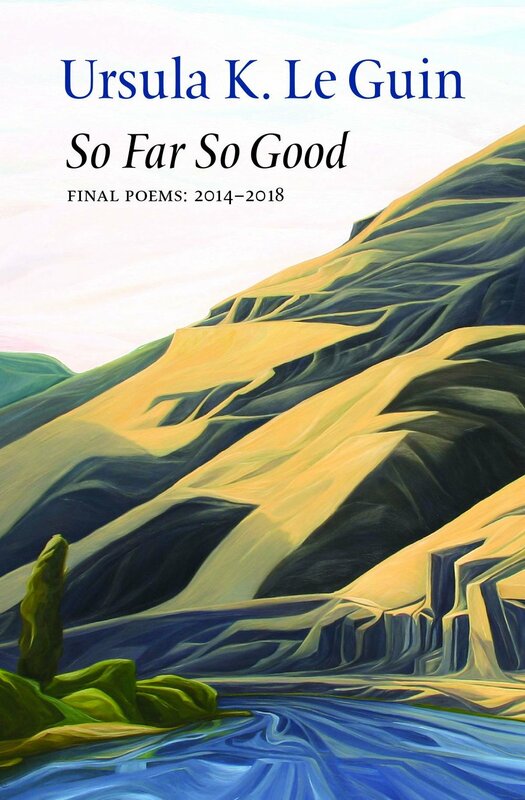 This compilation of poems, stories, and essays—divided in three primary sections: “Heart,” “Earth,” and “Art”—moves us to rekindle our local and global communities. Dedicated to those who have lost their hearths and seek new ones, it explores themes of vagrancy, displacement, expatriation, immigration, family, climate change, technology, politics, loss, and discovery. Contributors include: Geffrey Davis, Gretel Ehrlich, Jane Hirshfield, Barry Lopez, and Bill McKibben, who provoke with questions of community and open doors to a wider discussion for making the world a more nurturing place. And a small but wondrous section of landscapes, from Brazilian photographer Sabastiao Salgado, supplements the conversation. The anthology explores the full weight of the spaces we inhabit, the spaces of belonging. “Our hearth is our home in ever-expanding circles of connectivity—local, bioregional, continental, planetary, solar, galactic, and cosmic,” writes Mary Evelyn Tucker. It has always been a gathering place, a shelter, and a sanctuary that provides refuge. But from climate changes, wars, refugees, evolving technologies, to natural disasters, for many, the hearth becomes problematic. Here is a book for our real or imagined hearths, prompting us to discover and redefine them. Gretel Ehrlich offers: “Home is anywhere I’ve taken the time to notice. Where there is no ‘I.’ It shouldn’t be called a sense of place, but a flat-out, intimate sensorium where Emerson’s dictum suddenly makes sense: ‘I am nothing. I see all.’” Hearth serves as a guide and a tribute to our collective struggles and the many possibilities of home. Ritvo calls us to celebrate life and tenderly affirms that all pieces of existence, no less his own, are vital instruments: “Sure my smile is useful, but a chair is useful too.” He fills an empty stage with music, composing his own afterlife and prophesying blissful reincarnations: “I’ll be chairs, and I’ll be dogs / and if I am ever a thought of my widow / I’ll love being that.” In The Final Voicemails, Max Ritvo, "carrying the words, / shaking with tears," sings with a language of love and generously invites us into the hospitable shelter he designed for himself. 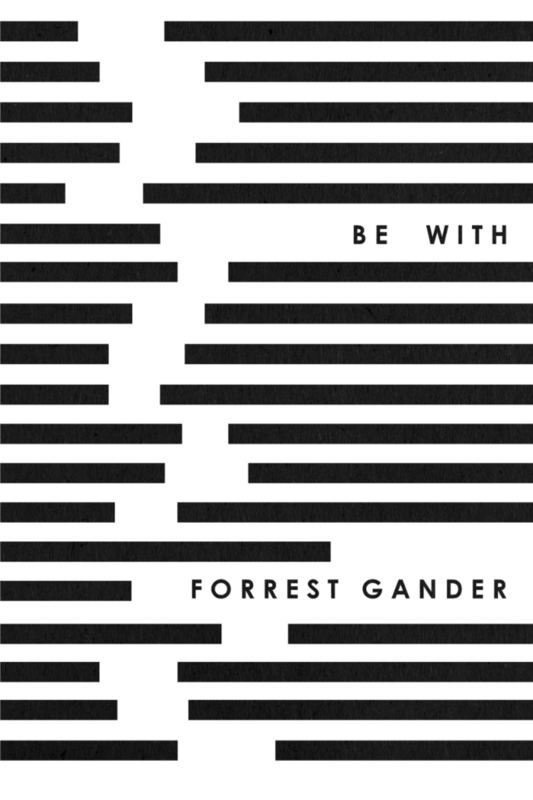 In his new collection of poetry, Be With, Forrest Gander overflows with vulnerability and brings forth "a eulogy, or a tale of my or your own suffering.” The title, stemming directly from the words of Gander’s life partner, the poet C.D. Wright, who passed away two years ago, tugs at the abyssal rift of a heart mourning over the loss of a loved one. As writing into grief is to write into a deep, raw silence, Be With begins with silence: “It’s not the mirror that is draped, but / what remains unspoken between us.” This silence echoes throughout the book as Gander navigates through a labyrinthine canyon of bereavement, where his “grief-sounds ricocheted outside of language.” Wallace Stevens, an influence of Gander’s, writes that “Death is the mother of beauty,” and Gander does not turn away from grief but dives into its awful and cathartic cascading beauty that wavers between gravity and weightlessness. As the cover art and caesura within several poems illustrate, “Every event ⏤ drags loss behind it.” The absence manifests itself on the page as words reach and call out to each other across the chasm of white-space. Gander beckons us to cross a bridge to other ranges of his life, such as a handstone, the Mexico–United States border, his mother’s pain and lapses of memory, ultimately arriving at a littoral zone, a series of ecopoetical entrances and exits accompanied by photographs. Be With serves as a memento mori as Gander asks, “You who were given a life, what did you make of it?” He prompts us to cherish our memories, which return “strangely as fog / Rising just to flatten ⏤ under the bridges.” Although he laments with a tightened throat, his lyrical heavings gush forth an intense beauty that affirms the struggle through life’s deepest hollows. Gander brings to light his efforts of “being with,” his listening into, his resilient conjunction against a fissure shaped by death confirming that there is nothing closer to grief than love.